The Ghana Football Association has been given the clearance to continue with the Premier League during the 2018 FIFA World Cup finals in Russia. A directive from FIFA that all leagues must end before the commencement of World Cup on June 14 meant the Ghanaian topflight which made a late start would be suspended. However, FIFA have granted the GFA a special dispensation to continue with its domestic programme during the global showpiece in order to be able to meet the Confederation of African Football's (CAF) deadline for the registration of clubs and players who will qualify and take part in the 2019 CAF inter-club competitions. The publication from the FIFA website read: 'World soccer-governing body, FIFA has granted Ghana a special dispensation to continue with the Ghana Premier League and the Division One League during the Russia 2018 World Cup, which kicks off in June. 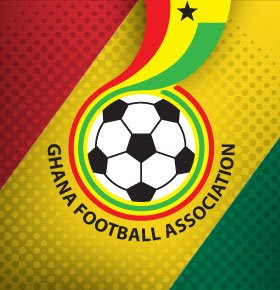 ''Following the late kick off of the league, which has left the GFA far behind its calendar, the GFA requested FIFA to grant it a special dispensation to continue with it's domestic programme during the world cup in order to be able to meet the Confederation of African Football's (CAF) deadline for the registration of clubs and players who will qualify and take part in the 2019 CAF inter-club competitions. ”FIFA has no issue with the Ghanaian leagues continuing to play as long as players selected on the release lists of Participating Member Associations taking part in the 2018 FIFA World Cup are released to their federations as of 21 May 2018”, stated the FIFA letter which was signed by Deputy Secretary-General, Zvonimir Boban.